Originally a mission of All Saints', St Cuthbert's was opened in 1863 in what then known as Birmingham Heath. 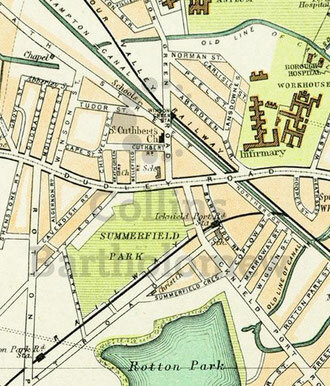 Although close to the open parkland of Summerfield Park, the district immediately round the church was densely packed with back-to-back housing. Map from The Royal Atlas of England and Wales produced by J G Bartholomew for George Newnes Ltd 1898, from the Mapseeker website, reusable for non-commercial purposes. This church appears on the 1890 Ordnance Survey map which can be viewed at British History Online - http://www.british-history.ac.uk/mapsheet.aspx?compid=55193&sheetid=10087&ox=800&oy=2739&zm=1&czm=1&x=453&y=208. St Cuthbert's Church began as a mission of All Saints' in 1863. A permanent building was designed by the Birmingham practice of designed by Bateman and Corser and opened in 1872 at a cost of £5000. 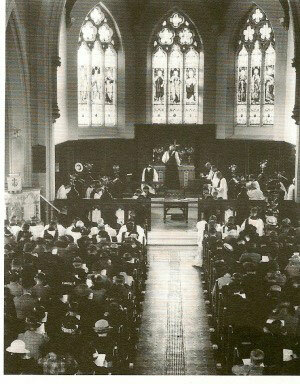 There was seating for 800 worshippers, half of the sittings being free. The church was built of brick with stone in Decorated Gothic style and consisted of an apsidal chancel, nave, aisles, vestry, and north-east tower. A parish was assigned out of All Saints' in 1872. The building was badly damaged by a German bomb during the Second World War. As much of the area was demolished and redeveloped, the church closed in 1960 and was subsequently demolished; the parish was united with that of Christ Church, Summerfield. A single 25" chiming bell hung in the tower cast by Charles Carr of Smethwick in 1885. When the church closed in 1960 the metal from the bell was cast as part of the 6 bells at St Peter's, Tile Cross which was built in 1968. The bells there are hung dead and rung by means of an Ellacombe manual. 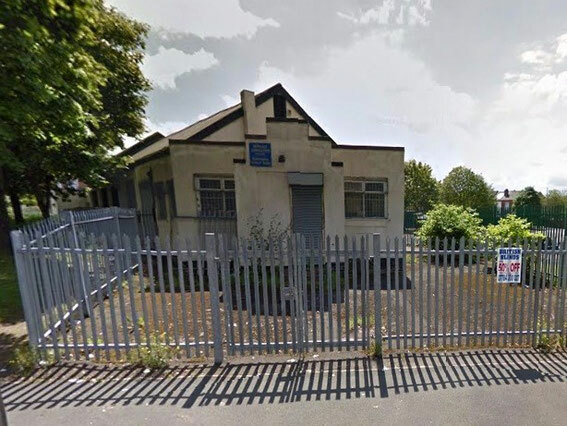 Below: The church hall still stands near the corner of Cuthbert Road and Winson Green Road and is now used as a Bengali community centre; the church stood to the east of it. Image from Google Maps.